One of the most significant and complete pieces of evidence left to us by the Nuragic civilization. Su Tempiesu is a well-temple dedicated to the worship of the water deities, built using the Opus isodomum technique with perfectly finished trachyte and basalt ashlars. It dates back to the Late Bronze Age (13th century BC) and it was frequented until the beginning of the Iron age (4th century BC). The site, which was discovered in 1953, is situated against a rock face, where spring water flows, providing water to the sacred well, in the locality of Sa Costa 'e Sa Binza, six kilometres from Orune, the territory of which stands out due to the concentration of Nuragic temple wells in it: you can also visit those of Lorana and Su Lidone. 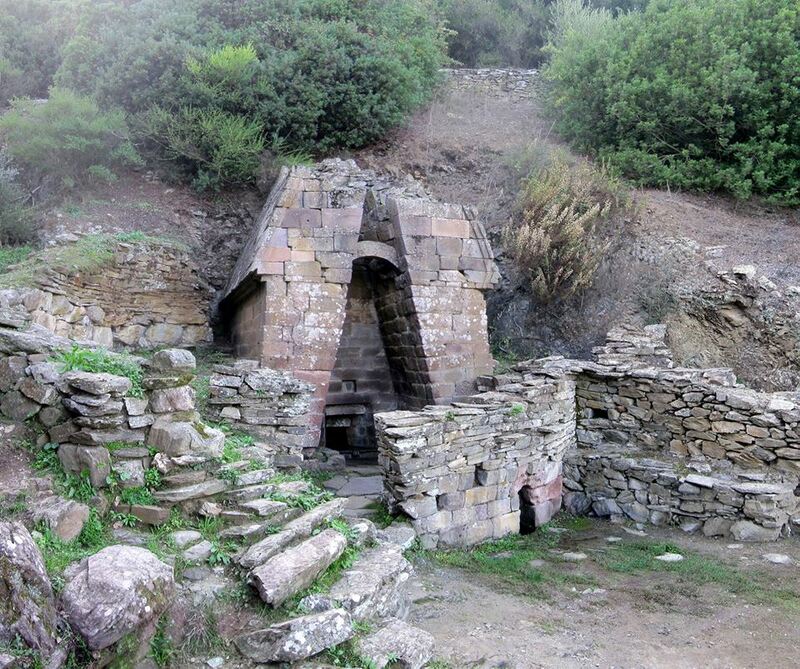 Su Tempiesu is the only original evidence still remaining of a covered sacred well structure built on elevation. The temple is about seven metres tall and is formed by a vestibule, a flight of steps and a chamber protecting the vein of spring water. 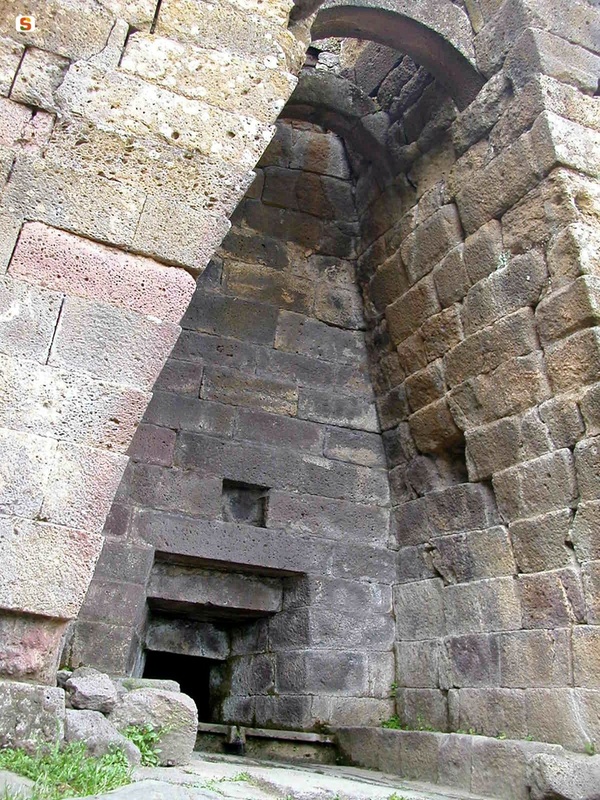 The vestibule is quadrangular with a slightly sloping floor and jutting walls, built with slabs that form a narrow pointed arch. At the base of the lateral walls, there are two counter-seats, while the little cabinets for offers are positioned in the brickwork. The back wall leads to a splayed staircase facing outwards (like that in the Sanctuary of Santa Cristina): four steps will lead you to a small room with a tholos (false cupola) and paved floor as well as a decanting pit in the centre. The roof is exceptional: it is a double sloping roof with double sculpted eaves. The roof culminates in a triangular tympanum. There was an acroterion (ashlar with a truncated pyramid shape) resting on it, supporting twenty votive decorated bronze swords with holes made in them. As well as these, numerous ex-voto bronzes were found: daggers, hatpins, pendants, bracelets, rings, necklace beads, needles and, above all, little statues of offerers, warriors, characters with a cape and commander's baton. Other offerings were kept in cubby-holes made from indentations in the rock. 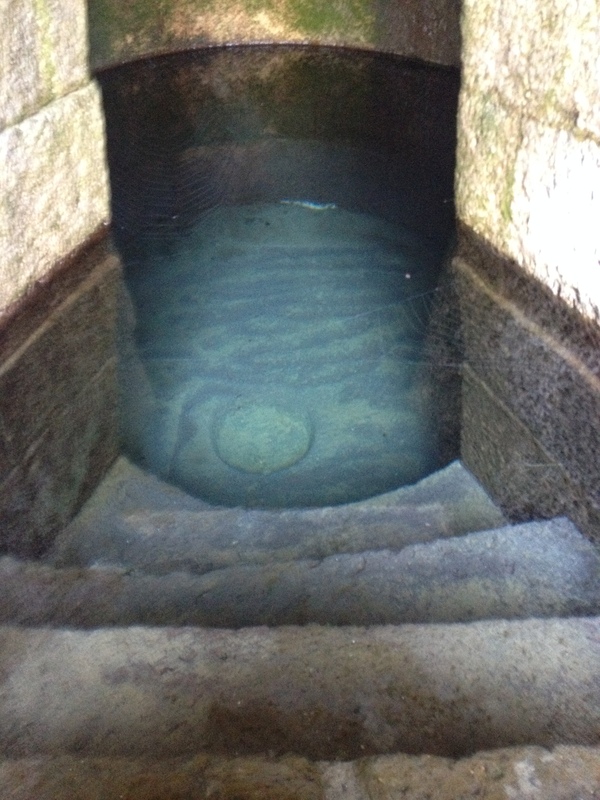 In the flood periods, the overflowing water runs through a little channel dug out of the vestibule floor and it is routed into a second little well, a smaller reproduction of the first. 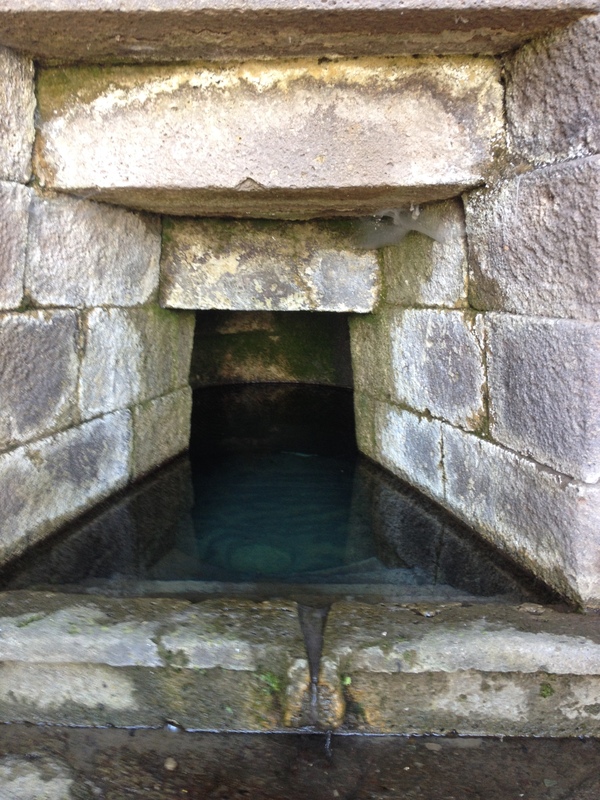 The little well is built at the base of an external curvilinear enclosure and it has a small channel with a finely-finished dripstone. Over it, there is a little arch, while on the bottom there is a little pit allows for decanting. The vast territory of Orune is particularly rich in archaeological vestiges. It was already inhabited in the Neolithic era, as is demonstrated by the Dolmen of Istithi near the Tomb of Giants of the same name, and the Menhirs and Sas Predas' Ittas. From the same period as Su Tempiesu and other sacred wells, there are about ten Nuraghi and, above all, the village of Sant'Efis.